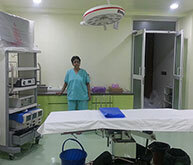 Dr. Jyoti Mishra is a Gynaec Laparoscopic & a Robotic surgeon. 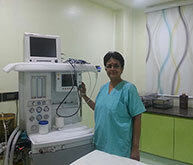 After her MD in 1996, Dr. Mishra began her training in Minimal Access Surgery (MAS) in Mumbai, at some of the premium institutes namely Sion, Wadia, Tata Memorial Hospital & Bombay Endoscopy Academy. 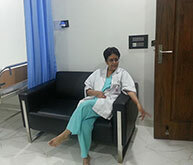 To further refine her skills, in the year 2000, she did her Diploma in Gynae Endoscopy at the University of Kiel, Germany. Dr. Mishra has been a part of various MAS training programmes for doctors, a faculty in various conferences & live surgical workshops. She is a recipient of “Dr. Tank best paper prize” in Mumbai in 2005. 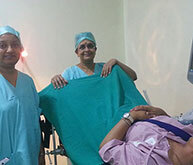 She is presently actively involved in the FOGSI hysteroscopy training workshops in various states of India. 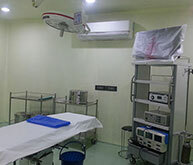 Dr. Mishra is attached to some of the prime hospitals of Delhi. 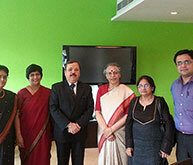 She is an International visiting faculty at Dubai & Nepal. Her areas of interest are Laparoscopic Hysterectomy, Fibroid removal & Robotic fertility enhancing surgery.